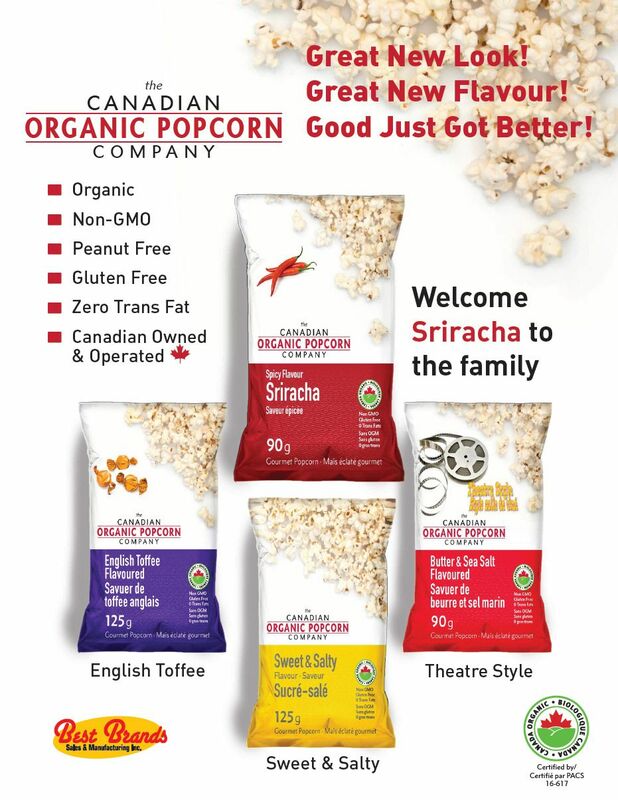 These tasty organic popcorn snacks are made by the only Canadian manufacturer of organic popcorn. The owner and the manufacturing plant are located in Vernon in the Okanagan Valley, British Columbia. Handcrafted in small batches, the kettle style popcorns come in 5 delicious flavors: Sweet and Salty, Butter and Sea Salt, English Toffee and Theatre Style Butter and Sea Salt and Sriracha. Enjoy them ! They are Certified Organic, Non GMO, Gluten Free, Peanut Free and Zero Trans-Fat!